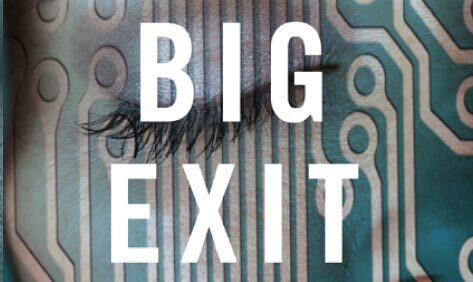 David Carnoy’s new novel, The Big Exit, begins with the transcript of a 911 call. 911 dispatcher: Okay. Are you certain he’s dead? Hill: He didn’t have a pulse. There’s blood everywhere. Oh my God. 911 dispatcher: Ma’m, are you in a safe room? Are you in a room where the door can be locked? Hill: No, I’m outside near the garage…. In this jolt of an opening, we seem to hear the flat tone of the dispatcher alternating with the near-hysterical voice and panicked breathing of the caller. Carnoy has a perfect ear – for many varieties of jargon as well as everyday speech – and throughout this tense novel he often turns the reader into a listener. Soon the voices of jaded cops, cynical lawyers, trash journalists and assorted lowlifes will draw us further into an occasionally bewildering drama. Never mind that Richie is a Sinatra impersonator; this unnecessary gimmick doesn’t intrude on a plot that becomes engrossingly complex as evidence – now uncovered, now overturned – seems to indict first Richie, then Beth, then McGregor himself. The snap and wit of Carnoy’s language freshens familiar types: the celebrity lawyer, the manic cyber journalist, the cynical babe. His grip weakens only towards the end, when predictable action takes over and characters start explaining the plot to each other. The big exit of the title, it turns out, is far less interesting than the novel’s small dramas.